Neck gaiter, beanie, balaclava, face mask, headband, all in one. 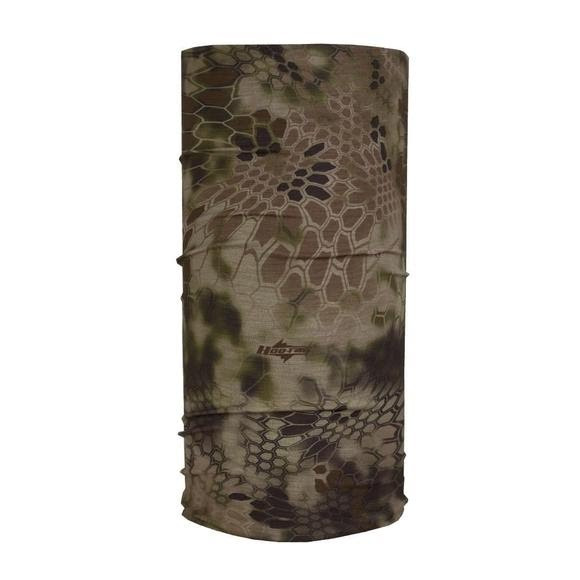 This indispensable Kryptek Apparel headgear is light and versatile, keeping you protected in a variety of conditions. The UPF (ultraviolet protection factor) is a numerical rating given to clothing to indicate how effectively the fabric blocks ultraviolet (UV) radiation. A UPF rating of 30 means that only 1/30th (or 3%) of the UV radiation can penetrate the fabric. When conditions worsen and the temperatures fall, when days are short and the shadows are long Kryptek Yeti™ provides concealment when cover is only found in the subtle creases of the snowpack.